This month we are delighted to announce the launch of the new SSIT/Technology and Society website! You can read details below, and then take some time to peruse the site for yourself. Many thanks to the members of the SSIT Website Committee who have been hard at work getting things running smoothly (and who will be continuing to do so in coming months). In addition, be sure to scan through this month's Conference and Publication opportunities. As always, if you have a news item, SSIT-related update, volunteer opportunity, call for papers, award notice, or idea for a "Feature Article," please contact me at Heather.Love@usd.edu. Submissions for the November 2017 newsletter are due by 20 October 2017. 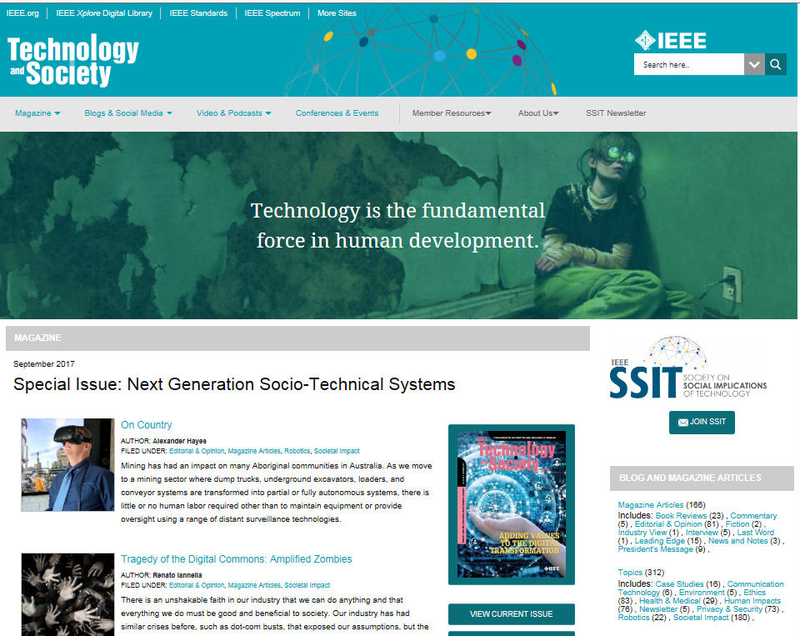 Over the past two months, IEEE SSIT has been rolling out a revamped website at http://technologyandsociety.org. The original url (http://ieeessit.org) also redirects to the new site. The new website provides resources and coverage of a wide variety of technology and society topics, concerns, and research, as well as detailed services and support to SSIT membership. The main landing page of the site features access to publicly available content from IEEE Technology and Society Magazine (M-T&S), links to recent blog posts, and announcements of upcoming conferences and other events. Drop down menus provide deeper access to an archive of M-T&S content, much of it directly available on the new site, with additional links to IEEE Xplore files of all past M-T&S articles. The publicly available "free" articles on the new site are generally the shorter, non-refereed "department" articles from M-T&S. Refereed articles from M-T&S remain behind the paywall, available only to IEEE SSIT member subscribers. An archive of past SSIT Blog posts is also available, along with links to active SSIT social networking sites and discussions on Facebook, Twitter, and LinkedIn. The site provides easy membership and subscription links, and complete services to SSIT members such as Chapter resources, Awards programs, and SSIT Newsletter posts. A robust videos and podcasts section is already populated, and includes technology and society-related productions from IEEE.tv, as well as access to Future Out Loud podcasts from the Arizona State University (ASU) School for the Future of Innovation in Society, and the Risk Innovation Lab. Volunteer members of the SSIT New Website Committee included Laura Edelson, Jim Isaak, Terri Bookman, Lew Terman, and Phil Hall. IEEE volunteer Mike Andrews spearheaded the effort for the IEEE, and consultant/contractors at Interface Guru provided visioning workshops and design for the the site. The site continues to be under development, with additional features to be added in the coming months. The SSIT website committee welcomes the comments and suggestions of SSIT members and other users of the new site. Please send any thoughts to Terri Bookman at t.bookman@ieee.org. SusTech 2017 is sponsored by the IEEE Oregon Section, IEEE Region 6, IEEE Phoenix Section and IEEE-USA. SSIT is a technical co-sponsor and long term supporter of the SusTech conference series and host of the Social Implications/Quality of Life Track. The 9th International Conference on Ethics in Biology, Engineering, and Medicine will be held at the Florida International University (FIU) in Miami, FL, USA, 14-15 April 2018. Abstracts should be submitted before 15 November 2017. This conference has been endorsed or technically co-sponsored by IEEE/SSIT and many other professional societies and institutions. 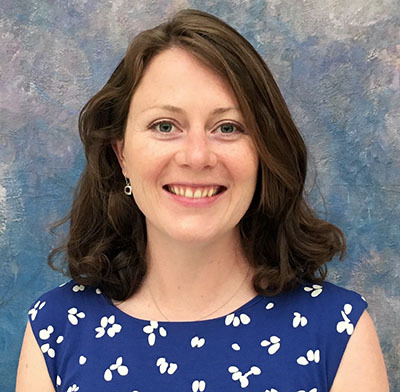 The IEEE Society on Social Implications of Technology has partnered with the IEEE Life Members Committee (LMC) on an initiative to publish accounts of Society members' experiences grappling with ethical dilemmas in professional contexts. If you have an experience that involved navigating an ethical dilemma, consider sharing it with your colleagues through the SSIT or LMC newsletters.